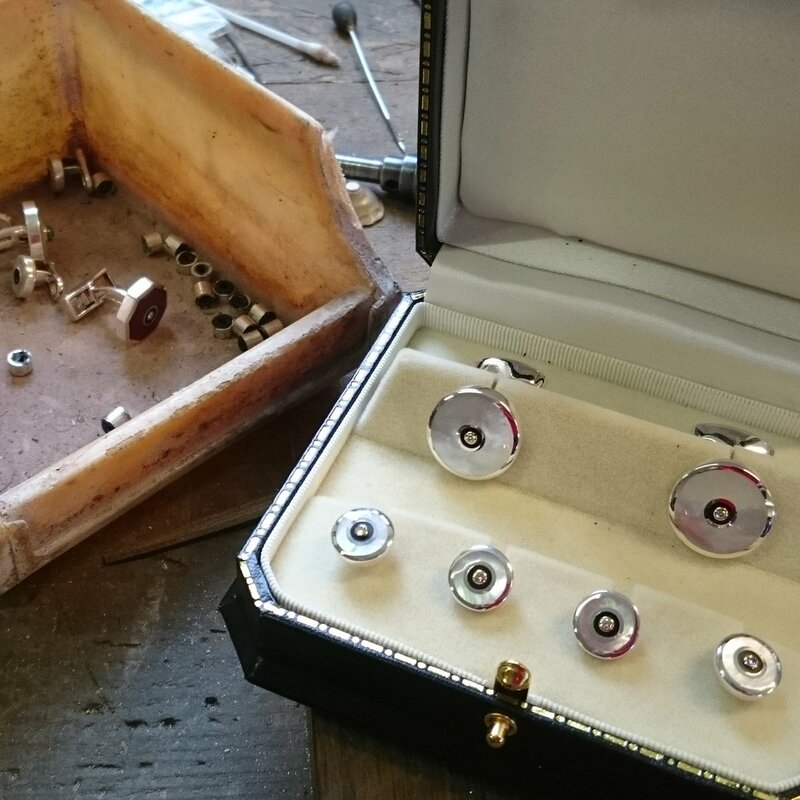 A valued customer approached us with an unusual enquiry… They had a client with a pair of seal engraved red cornelian stones which they wanted setting into some heavy 18ct gold cufflinks. 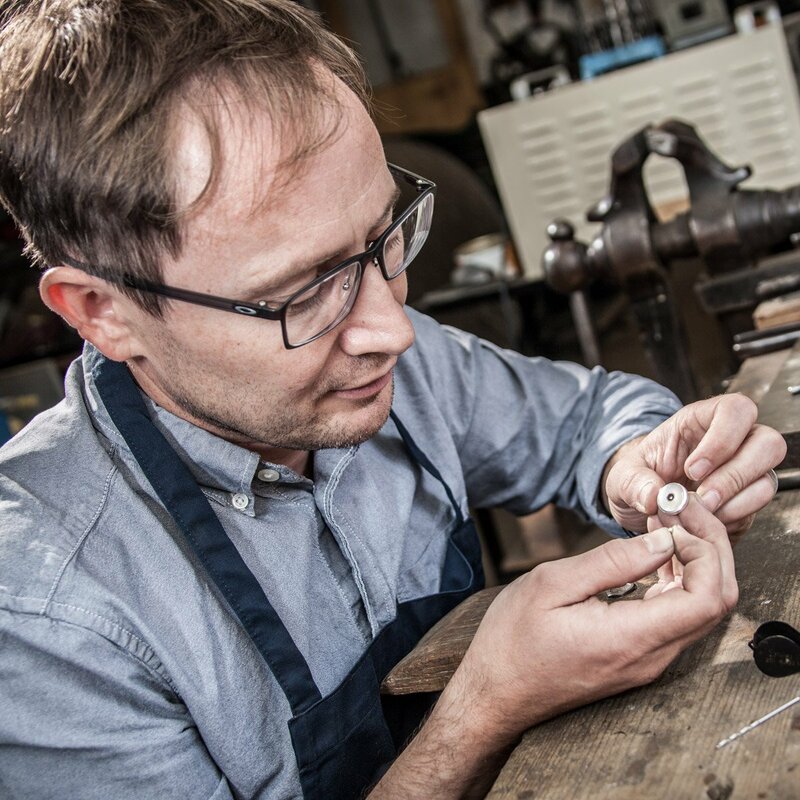 Making and setting cufflinks is what we do, but being entrusted with such unique stones brought with it much extra responsibility, one slip would have damaged the beautiful elephant engravings. Luckily Chris has a lot of patience and a steady hand, he was incredibly relieved when they were finally sent out to the customer! 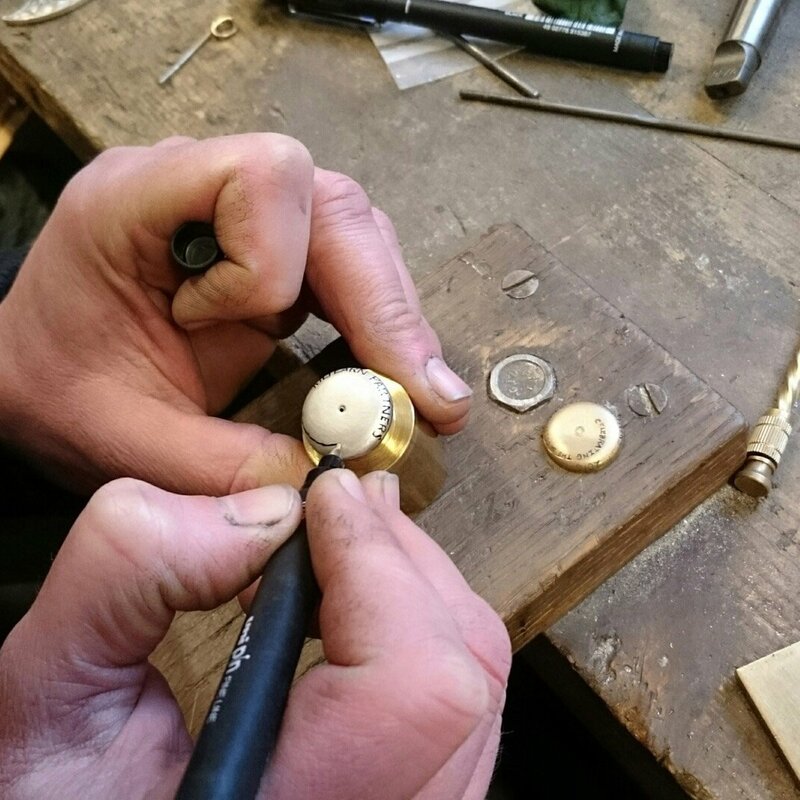 In order to make a batch of bespoke cufflinks we need to design and create a master mould. This customer wants their company name around the perimeter, so we need to ask our master engraver to hand engrave the lettering on this, so Chris is seen here drawing the lettering on for him to match the size and position. 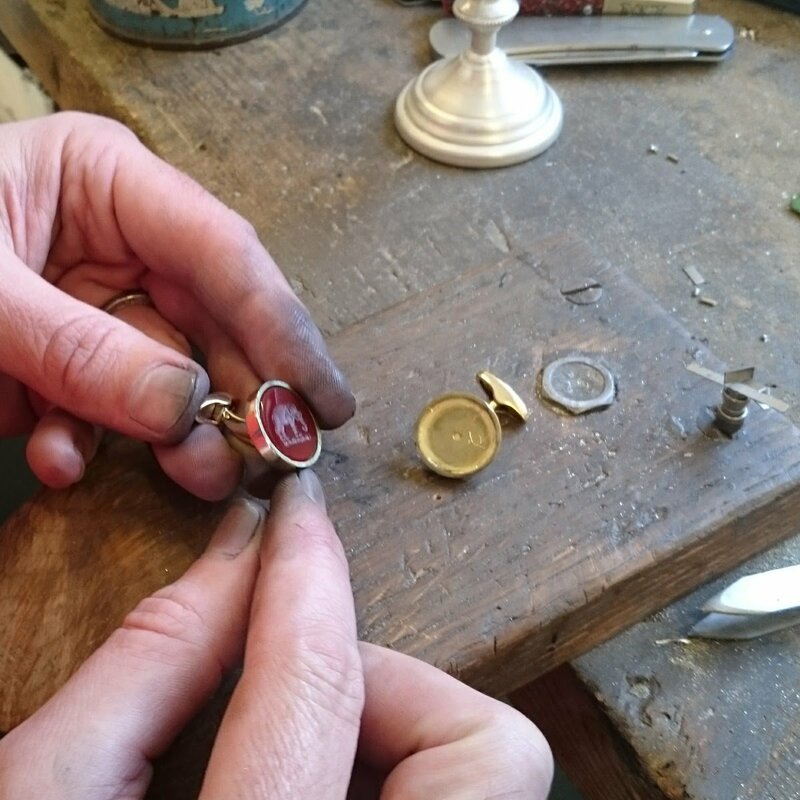 When this master is perfect we can create a wax mould from it, so we can then cast as many identical cufflinks in sterling silver as our customer wishes! 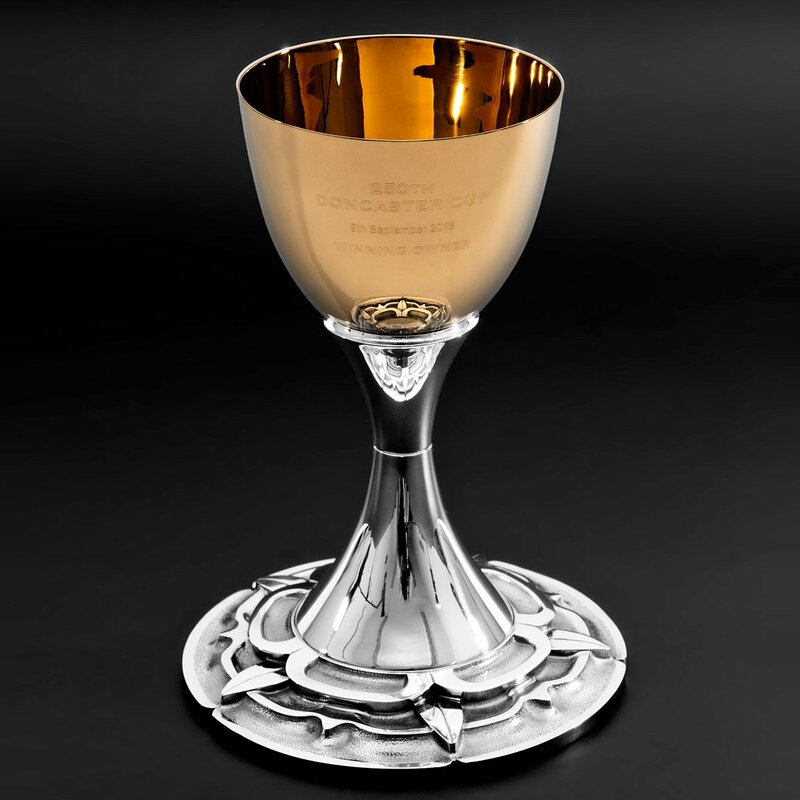 Each one will then be hand set with granite, the lettering sharpened up again by the engraver, hallmarked, polished and boxed for the customer. How could they not be proud of their own, unique cufflinks? 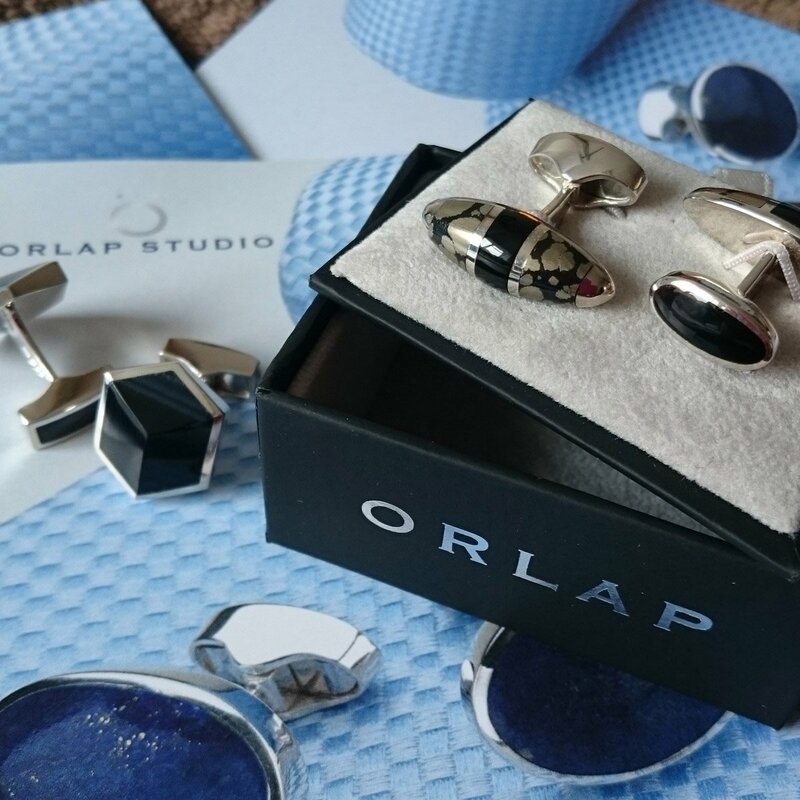 We couldn’t possibly stock every combination of cufflink style and stone that is available, so sometimes a customer may ask for a particular combination. 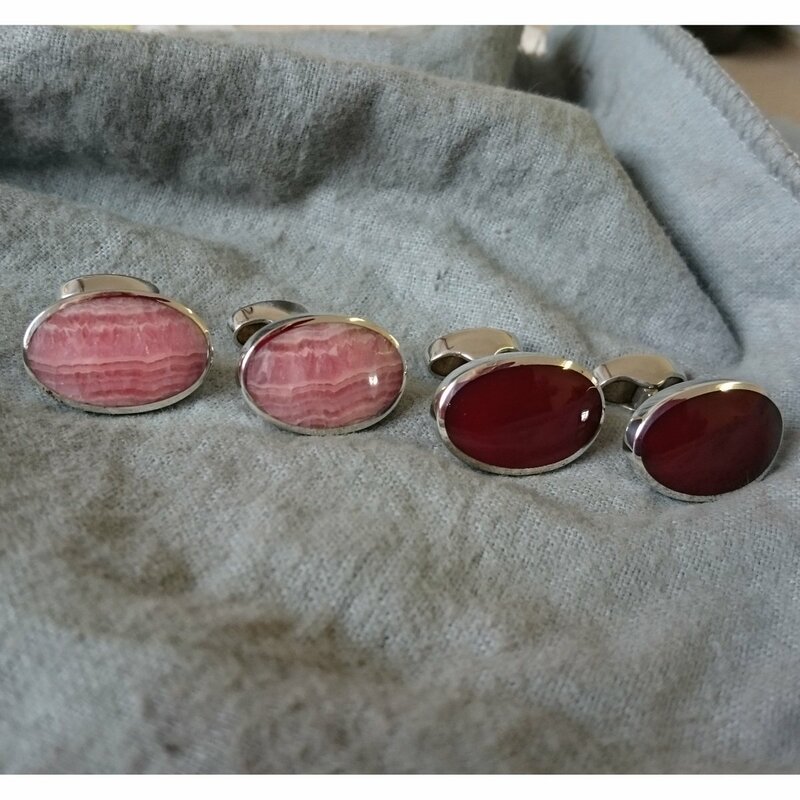 These beautiful heavy oval cufflinks show off a stone’s properties particularly well, and we agree with our customer that the flamingo pink does look gorgeous in it! Sat next to the rich red cornelian, we think they make a magnificent pair. Perhaps we should add them both to the collection in time for colour co-ordinated wedding season? Christopher has just returned from a few days in Scotland. 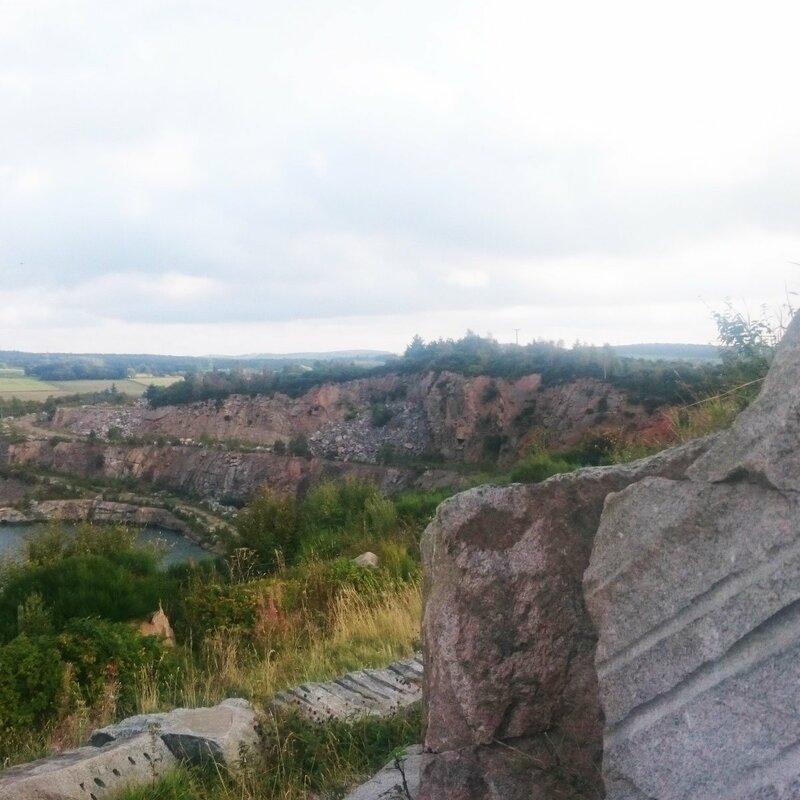 Inbetween meeting customers he found time to visit the Kemnay quarry, nestled in the rolling hills of Aberdeenshire. The quarry was opened in 1830 by John Fyfe. Kemnay Granite has been used in many famous buildings and structures, including the Forth Railway Bridge in Edinburgh, and is now used in our beautiful range of British Isle Granite cufflinks. 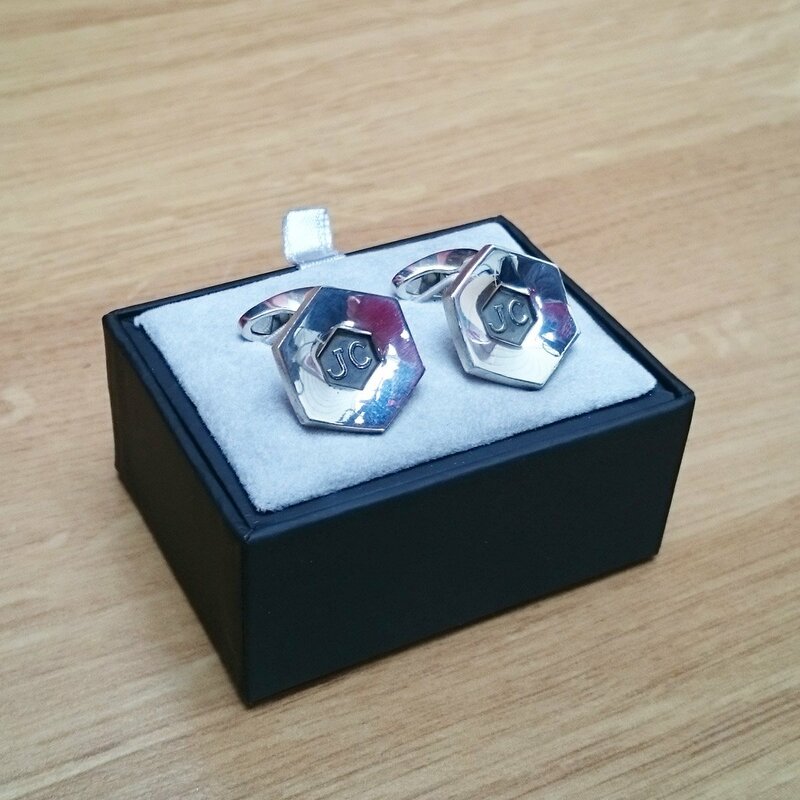 We have just sent this set of cufflinks and dress studs out to our customer. Mother of Pearl, with an Onyx centre, set with a 2pt diamond. Stunning aren’t they? It would be lovely to see them being worn! We wanted to make our good friend John a special something for his Birthday and came up with this idea. 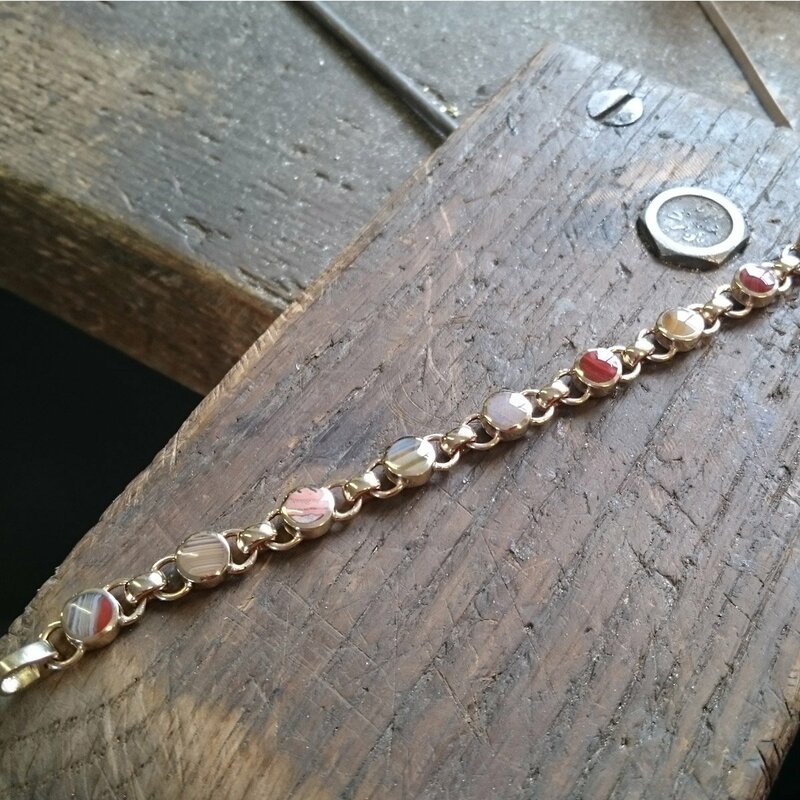 Our bespoke services do not have to include diamonds!